With Special $50 Discount for Folks 55 Years and Over, You Pay Only $629 per person, double occupancy. Single Occupancy Price: $739. 6 Super Star Shows and Attractions! 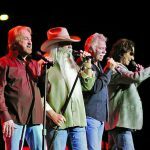 Oak Ridge Boys – They’re back! 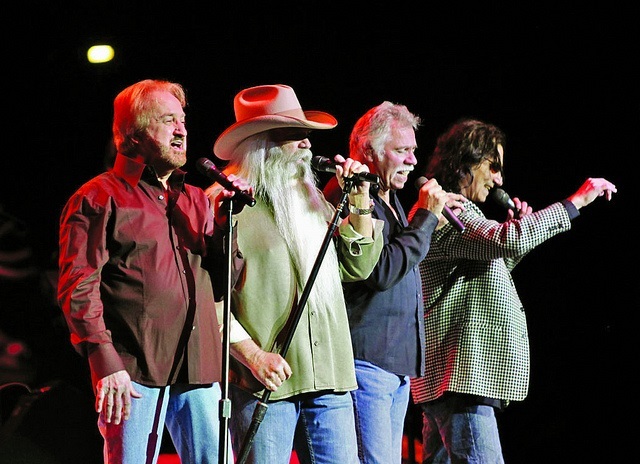 The four-part harmonies and upbeat songs of “The Oak Ridge Boys” have made them one of the most distinctive and recognizable sounds in the music industry! 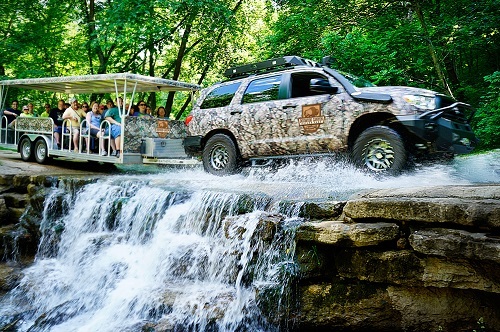 Dogwood Canyon Wildlife Tram Tour w/ Picnic Lunch – Rave Reviews! Step aboard the comfortable, open-air trams and explore the beauty of Dogwood Canyon. 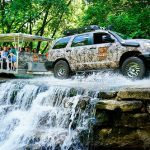 Located a half-hour south of Branson, you’ll wind through the canyon floor, past towering bluffs, scenic waterfalls and may even mingle with herds of American bison, elk, whitetail deer and Texas Longhorn! Also included is their delicious picnic grill lunch! 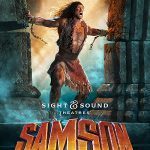 Samson at Sight & Sound Theatre – Back for 2019! He’s the original superhero. He can defeat entire armies and slay lions. But there’s a catch to his superpower – he must follow the rules. And that’s where the trouble begins. 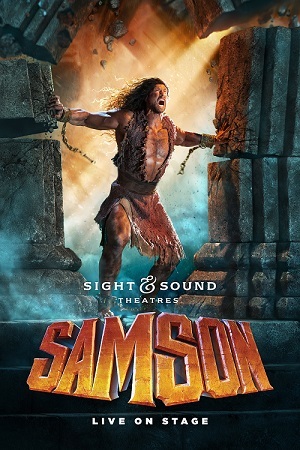 Experience this biblical drama in jaw-dropping scale as it comes to life with spectacular special effects and live animals. You won’t want to miss this! The Duttons – The Duttons were finalists on NBC’s hit T.V. show, America’s Got Talent in 2007! 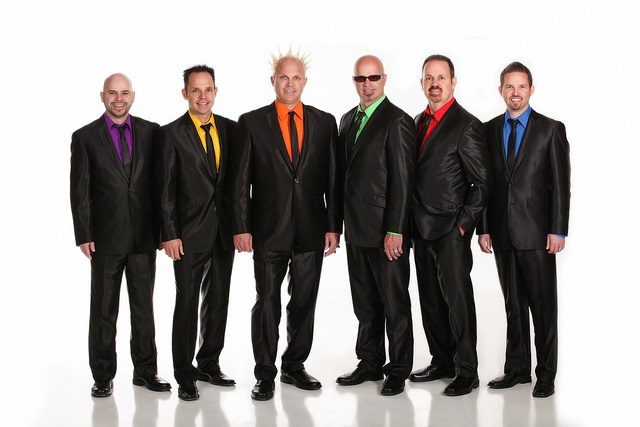 The Duttons are high-energy entertainers loaded with musical talent! With dozens of years of experience, and just about as many kids between them, they rock the stage nightly in front of sold-out crowds! SIX – Featuring six real brothers who take musical entertainment to a whole new level! As an “orchestra of human voices,” these multi-talented brothers, considered pioneers of a capella, have been singing contemporary a capella with incredible beatbox vocals and harmonizing since they were children! See the World in Branson Music Fest – Experience Branson’s Best entertainment in one show! The Music Fest brings together multiple, international acts on one stage at the Welk Resort in Branson. You can experience international cuisine, international Branson stars and attractions to provide a unique experience – no passport needed! The perfect opportunity to get your picture with your favorite Branson Entertainer! Click the link below for a brief itinerary! No refund on Samson or Oak Ridge Boys if you cancel within 72 hours of departure.